Hello friends! About 6 months ago or so, I wrote a blog post talking about an affordable beauty brand sold at Walmart, Found. They were a relatively new brand, and generously sent me some skincare items and a couple makeup items. I loved what I tried, and now they have sent me some more products to share with you! This time around, I have a greater range of makeup to test out for you guys. Here is some info about Found! Their products can be purchased at discoverfound.com, Walmart.com, and in select Walmart locations. None of their products are tested on animals, and most of them are vegan. There are a few that contain beeswax, however. Pictured below is everything I received from Found. They sent me 6 makeup items and 3 skincare items! Okay, the first product that drew my eye is this gigantic Baked Illuminating Blush. I received the shade 70, “Pink Glow”, and it contains a massive .24 oz of blush for only $9.99. To put that in perspective, most of my other blushes only contain around .17 – .20 oz of product. This blush is 90% natural, and contains rosehip extract and lemon fruit extract to help hydrated your skin. It’s formulated with finely milled, marbleized pigments which blend naturally into your skin. I really love the marbled look of this blush, and I especially love how it applies! The blush is pretty pigmented and my makeup brushes pick it up easily. That can sometimes backfire with a blush, because you might accidentally apply too much and not be able to tone it down. However, this blends out very easily! I’ve used this blush a few times and almost always pick up a little too much product, but I am able to blend it out to a natural looking flush within a few seconds. Another makeup product I received from Found is this Illuminating Makeup Spray in the shade “Halo”. This spray comes in a 2.2 fl oz bottle – so about half the size of the Cover FX Illuminating spray. This only costs $9.99 as opposed to the Cover FX’s $31 price tag, so this is definitely the more affordable buy. The Illuminating Makeup Spray is 97% natural, and contains honeysuckle extract to soothe and hydrate your skin. This is supposed to give you an all over glow that lasts all day. I do like the formula of this setting spray, and it keeps me looking glowy without dewy – which is a line that’s easy to cross. I’m not a big fan of the nozzle though, because it really shoots out a lot of product at once. All right, on to the lip products! Found sent me this Satin Cream Lipstick in the shade “Papaya”, which is sort of reddish-orange. Found offers 8 different shades of this lipstick, and they cost $9.99 each. This is 99% natural, and contains Meadowfoam Seed Oil and Cornflower Extract to nourish your lips. It also uses mineral pigments to provide rich, bold, full-coverage color. I don’t have enough warm toned lipsticks, so I’m excited to add this to my repertoire! The formula is a little hard, so you have to apply some pressure on your lips in order to get color payoff. Once it’s on though, it’s opaque and quite long-lasting! My lips are fully covered in one layer. Next is a Shimmering Top Coat in the shade “Twilight”, which costs $9.88. This lip topcoat is packed with shimmering pigments and formulated with Tamanu Oil and Macademia Seed Oil. You can layer it over any lip color to add extra dimension and glimmer. And here it is, layered over the Satin Cream Lipstick. The light catches it so beautifully! The last lip item I received was this Ultra Shine Lip Gloss in the shade “Raspberry”, which costs $9.99. It’s 99% Natural, and uses avocado and lingonberry extract to provide intense moisturization. The gloss has a beautiful, cool-tone shift when the light hits it! I think this gloss could be used as a lip topper. 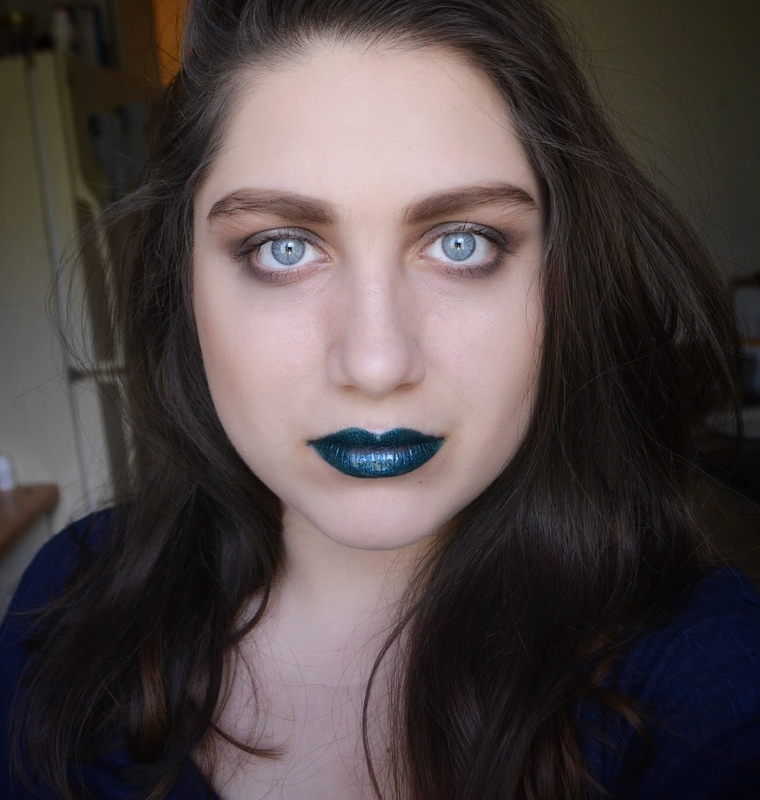 I wore it over the Satin Cream lipstick and it was gorgeous! I thought it might turn out wonky because the gloss is cool toned and the lipstick is warm toned, but it worked together nicely. You can see how it turned out in my MOTD photo at the end of this post. I have one more makuep item from Found; this Contour & Highlighting Stick. Now, this gave me flashbacks to my NYX contour stick debacle, which gave me and hundreds of other people rashes. I’m happy to report that this left me rash-free! These sticks cost $10.99, and use strawberry and plum kernel oil to nourish and enhance your skin for a healthy looking complexion. I received the shade “medium”, which worked well on my pale skin. They have three shades, and their deepest would probably work on fair or medium skin. I wish they offered deeper shades, to be inclusive of all skin colors and skin tones. And here are the swatches of the sculpting and highlighting shades. As you can see, “Medium” is actually pretty light. As for the product itself, it blends easily into my skin and really gives me sculpted definition. I actually have a pretty chubby face, but it actually looks a little angular in my MOTD photo! Found also sent me some skincare items! First is this Seaweed Water Cream, which smells absolutely divine – sort of like cucumber melon! Seaweed is fantastic for your skin, so I’ve added this cream to my daily skincare routine. This is incredibly hydrating, and doesn’t leave behind any greasy or sticky residue. A jar is $10.99, and a little goes a long way. I also received these super cute Cucumber Slice and Orange Slice sheet masks! They are little circle pads filled with natural extracts; the cucumber slices cool, calm, and de-puff your skin, while the orange slices improve your overall skin tone. I like to pop a couple of these onto my face while taking a bath. They smell great and are so relaxing. A pack costs $3.50, and they also come in kiwi and rose petals. I am just as impressed with Found the second time around! I think it’s great that they are expanding their makeup line, while staying true to their natural ingredient mission. They make clean beauty accessible at drugstore prices, and make a healthy skincare routine easy to attain. I used every single product in today’s MOTD, and here’s how it turned out! I can’t wait to see what products Found releases next! Please let me know if you have any questions about the brand or about the products I tried. I love the look of that blush, it looks gorgeous!